Happy belated Father’s Day to all! I celebrated a low key Father’s Day with my family. We ate dinner together and i was charged with bringing dessert. I knew my dad likes cherry pie, but no one else there did. My solution? Mini pies in different flavors. I had seen this idea months back, and attempted it with really bad results. The filling boiled over the sides, got all over the pan, burned the crust, and made a big sticky mess. 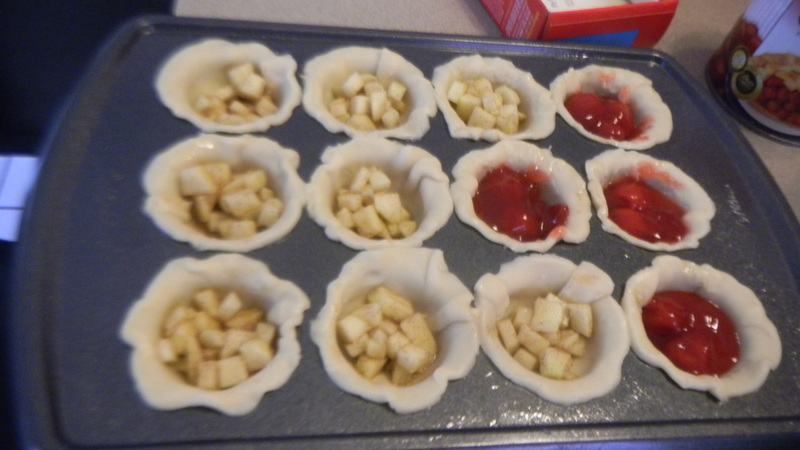 So when attempting the mini pies this time, I was quite nervous. I did think I figured out my problem though. 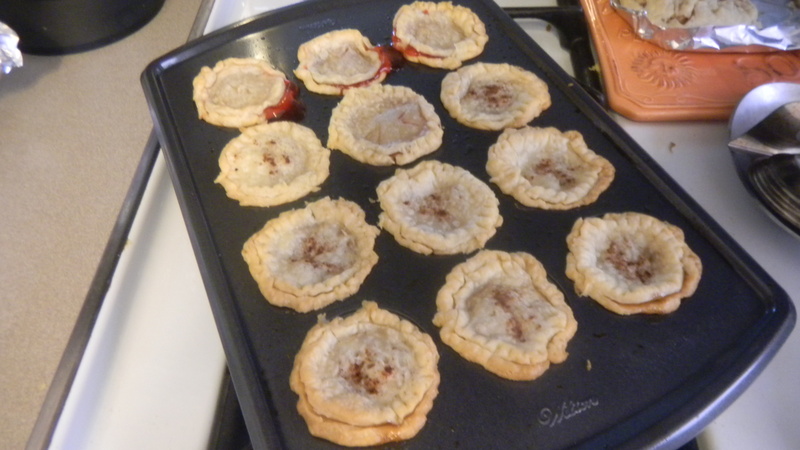 Last time, I made the pie crusts just barely fit into the muffin pan. 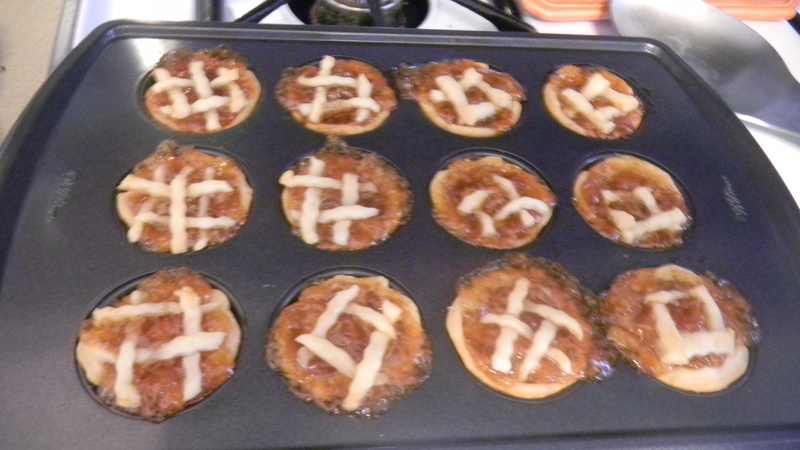 This time, I had the pie crusts go over the sides of the cups. 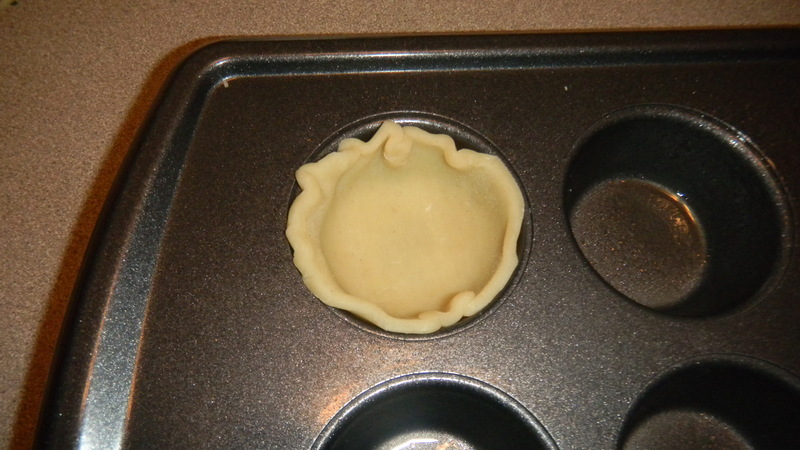 Also, instead of lattice, I went ahead and put a piece of pie crust over each mini pie and pinched the 2 crusts shut. Luckily, I had much better results. Start with a package of pie crust (you’ll need both sheets). Use a cookie cutter, or in our case, a glass, to cut a circle. 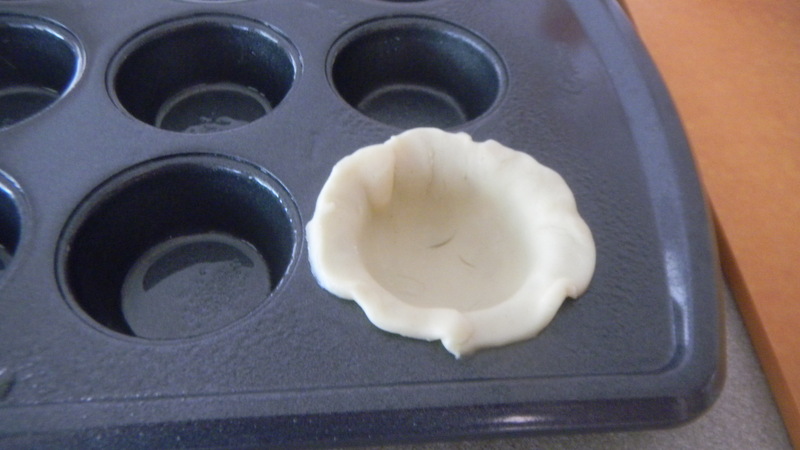 Make sure each circle is large enough to put in the mini muffin pan with dough overhanging. It may not look like a big difference, but it really is. It’s what keeps your mini muffins from becoming the big sticky mess. Next, put your filling in. 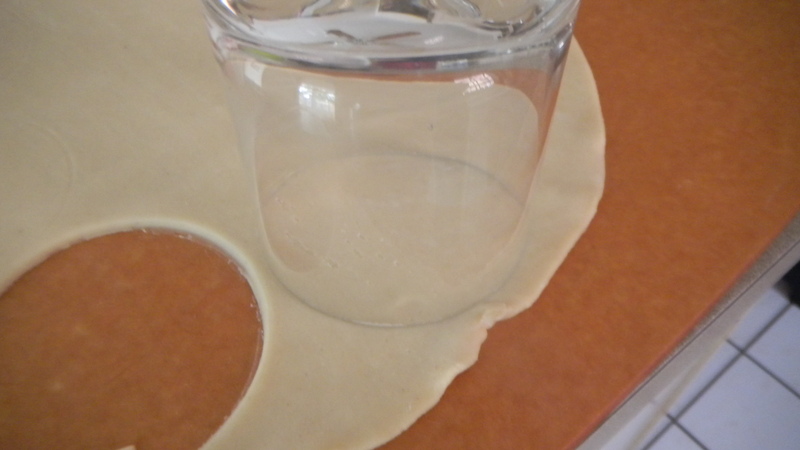 Do not overfill, or you will definitely have it bubble over while cooking. 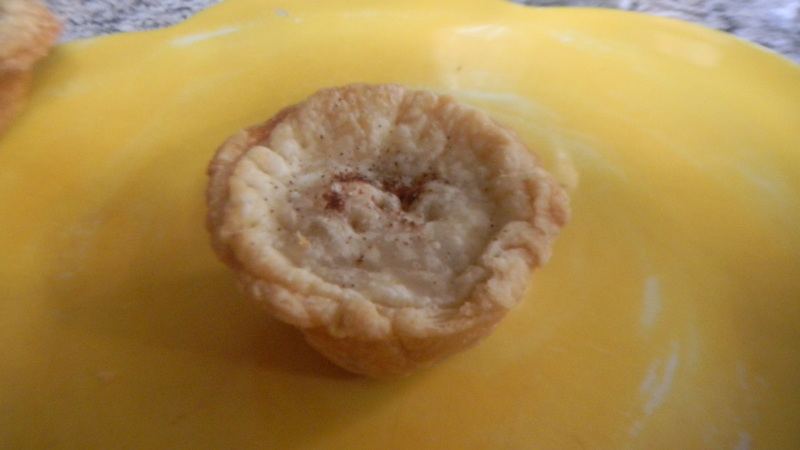 For these mini pies, I used canned cherry pie filling and a quick mixture of fresh chopped apple, cinnamon, and sugar. I cut a smaller circle out of more of the pie dough and put it on top of each pie, sealing the 2 pieces of pie together. Them, I cut some vents into each mini pie. I put them into the oven at 375 degrees and cooked for 10 minutes. I took them out of the oven covered them in foil, then put them back in the oven for another 3 minutes. Take them out and they are done. Don’t forget to spray each muffin tin very, very well. Once my mini pies cooled, they came right out of the pan and were not stuck at all. My dad really liked them. The dad in your life will too.